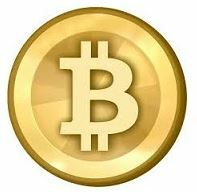 Virtual currencies welcomed the acceptance of bitcoins by one of the largest corporates on the planet, thus supporting the wider campaign of acceptance for the disputed asset class. Also, a further fine for an unregulated provider coupled with some new partnerships made for another eventful week in the world of digital currencies. One of the world’s most recognised technology brands, Microsoft, added a new payment method to its website. Details showed that the firm had indicated on its payments page that it will accept bitcoin to top up a Microsoft account. Bitcoin funds can then be used to purchase apps, games and videos for its Windows, Windows Phone and Xbox systems. Coinzone, an Amsterdam-based Bitcoin payment solutions provider, has recently forged two partnerships that are expected to benefit the adoption of Bitcoin in Romania. The new partnership supports the development among retailers in the developing country. CoinDesk reports that LocalBitcoins, one of the more popular traditional services for users looking to exchange bitcoins, has suspended its services in Germany. Reports state that Bafin had contacted the provider.